Big Brother celebrates my birthday …? Is this Big Brother, or what? Never had this before on my Special Day! Well, I’m sure the intention is very admirable *cough* but it’s just a teeeeeensy bit creepy…. 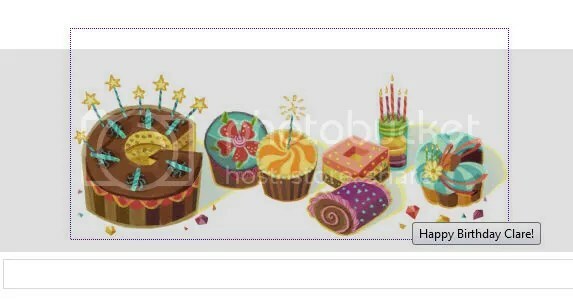 This entry was posted in fun and tagged birthday, google, me by clarelondon. Bookmark the permalink. Oh my. o.O Happy birthday! Oh wow. I expect that kind of thing from Facebook, but this is getting weird.